The reality star was seen emerging from water with her curvaceous figure on show. One of her hands covers her chest, and strategic lighting protects her modesty elsewhere. The striking picture attracted scores of praise from her 56 million followers, including more than 220, 000 'likes' within 30 minutes. Many were impressed by her enviable physique. Kourtney has three children with partner Scott Disick; sons Mason, aged 7, Reign, aged 2, and daughter Penelope, aged 4. She is the eldest of her famous siblings; Kim, 36, Khloe, 32, Rob, 30, Kendall Jenner, 21, and Kylie Jenner, 19. 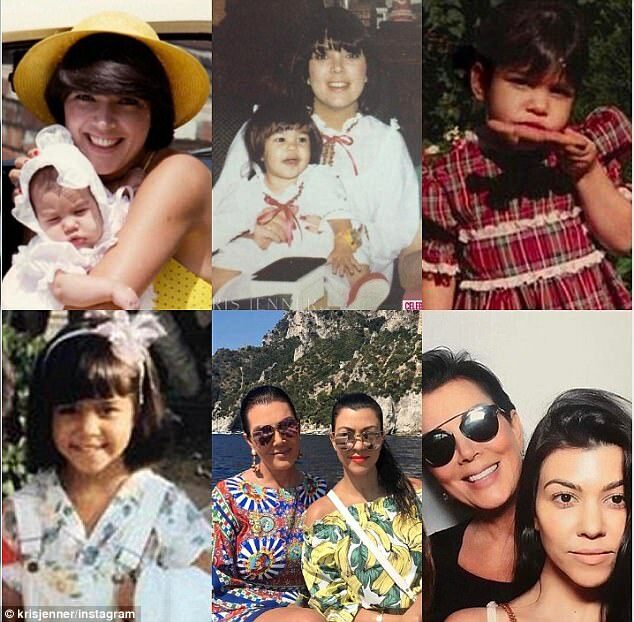 Kris Jenner, the family matriarch, paid tribute to her first-born on Instagram in a heartwarming message. 'Happy birthday beautiful @kourtneykardash!!! From the day you were born you have blessed me with so much joy!' she began. 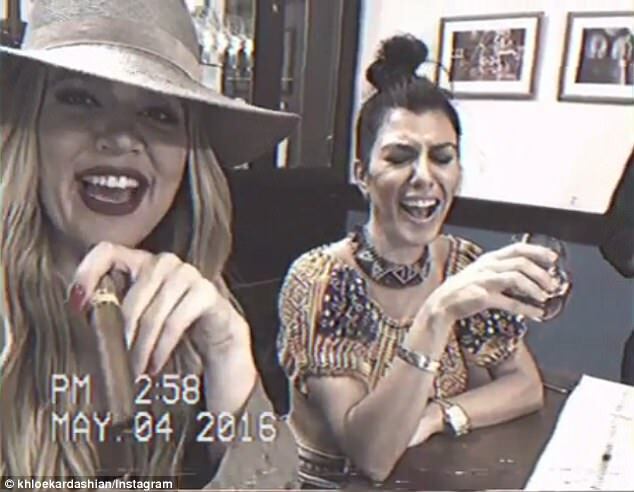 Meanwhile, Khloe also shared an Instagram video, writing, 'Happy birthday to the Milly to my Vanilli.' The clips feature highlights of their antics together over the years. No doubt a spectacular celebration will conclude Kourtney's evening. She has had many lavish parties and dinners in the past, including last year, when she blew out her candles on a massive tiered cake at trendy Komodo restaurant in Miami.